Fresh From the Dock! 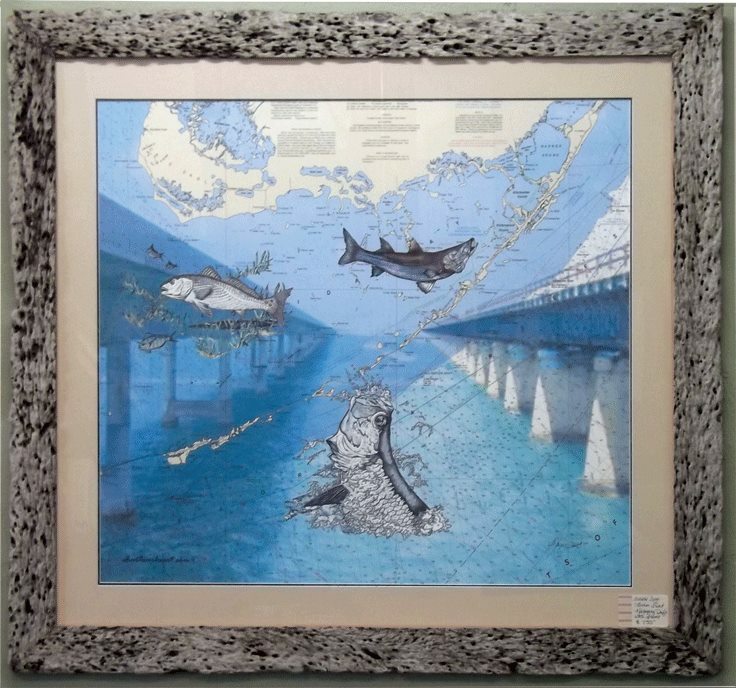 Our newest "Specials"
Now Available: Archival Giclee print of "Between the Bridges"
This matted 32" x 35" Artist's Proof print is framed in Florida Keys local driftwood. The one-of-a-kind mahogany wood was found near Tavernier Key in the Upper Florida Keys. This frame couldn't have more character! The overall dimensions are approx. 36" x 39". It is available for sale and can be shipped anywhere in the continental US. This print is also available on canvas, printed 28" x 31 and gallery-wrapped on stretcher bars. Ready to hang on the wall. No frame required. They will be available by website shopping cart 6/27/13.